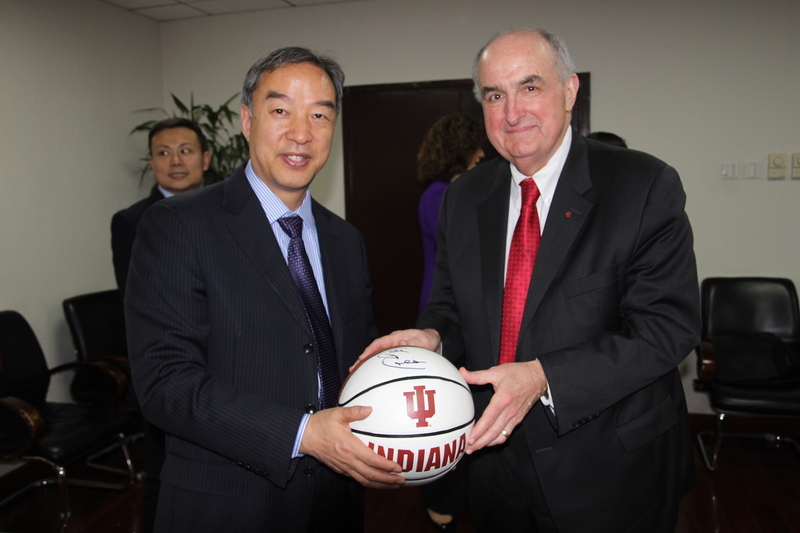 SGIS Dean Lee Feinstein and Director of the Institute for Korean Studies at SGIS Seung-kyung Kim joined Indiana University President Michael McRobbie for part of a week-long trip to Korea and China, thanking new partners and meeting with IU alumni. The Korea portion of the visit was largely dedicated to expressing gratitude to the Korea Foundation and generous alumni whose gifts made the IKS possible. During the China portion of the trip, the Research Center for Chinese Politics and Business based at SGIS hosted a symposium at the IU China Gateway office. Below are portions of an IU Communications blog detailing the daily activities of the trip. Read a wrap-up of the complete presidential trip. From the IU goes to Korea and China blog, by Ryan Piurek, IU interim assistant vice president for public affairs and presidential communications.